If you or a loved one have been harmed due to another person’s negligence while riding a bike, San Diego bicycle accident attorney from the Simpson Law Group is here to help. A woman was hit last Monday while crossing the street near Mission Bay. The incident happened at around 8 p.m. near West Mission Bay Drive and Quivira Road. The driver who hit her pulled over momentarily but then fled. Another driver who saw the accident happen stopped and called the police. This is an area where many accidents happen. There are no crosswalks along a large gap of West Mission Bay Drive, something that the municipal authorities have yet to address. Police say that this incident happened just yards away from where a skateboarder was struck and seriously injured in September. At the Simpson Law Group, we know that bicyclists face many dangers when they hit the road each day. In this case, the driver fled the scene after hitting the bicyclist. We also think that this incident could have been prevented if there had been proper crosswalks in the area. After so many accidents due to the lack of crosswalks, who is responsible for injuries at this point? If you need a San Diego bicycle accident attorney, you can count on us to work tirelessly to secure the compensation you need for all of your accident-related expenses. You see plenty of people in and around San Diego using the bikes to get around. Many of them are leisure and exercise riders, but we also have thousands of citizens who use their bicycles as their main method of transportation. The weather here is usually great for riding. While we know that riders do what they can to be safe, there is no way to control the actions of other drivers around them. For the latest reporting year for California, there were nearly 12,000 bicycle accident injuries and 147 bicycle accident deaths. In San Diego, we saw 531 bicycle accident victims who were either injured or killed. 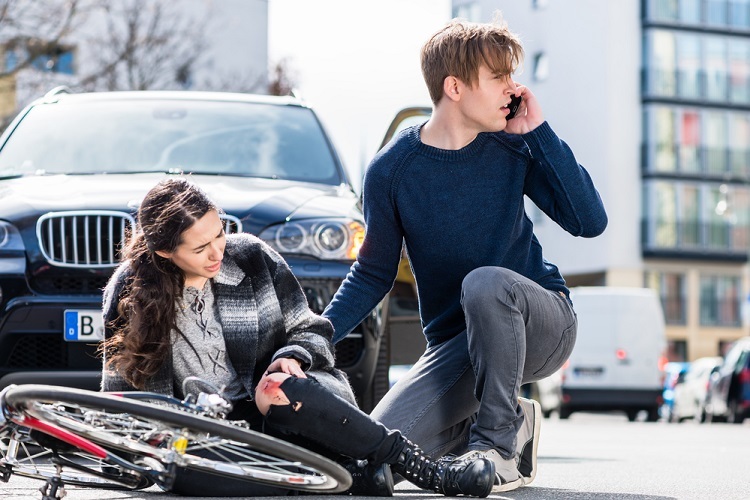 When a bicyclist is struck, they often sustain severe injuries that require major medical attention. A bicyclist has no protection from the impact of a vehicle that weighs thousands of pounds. Even at slow speeds, bicyclists can suffer severe injuries. We do not know the exact cause of the accident in the story above. Since the driver fled the scene, there is a good chance that they were intoxicated at the time of the crash. Some of the main causes of bicycle crashes revolve around impaired or distracted drivers. Other times, drivers simply do not pay attention to bicyclists. When you need a San Diego bicycle accident attorney, you can contact us by clicking here or calling 619-236-9696 for a free consultation.